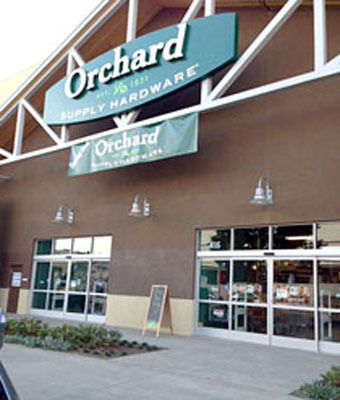 Months of waiting are almost over, as the new Orchard Supply Hardware (OSH) prepares to open its doors to the public Mon., Feb. 3. WIDE AISLES and a soothing color design are features of the 30,080-square foot store. The 30,080-square-foot space, which includes ample parking, will be a user-friendly shopping experience. Extensive use of light, wider aisles, soothing colors and a focus on interior design are all meant to draw in the hip, urban shoppers who live within the store’s vicinity. Originally conceived as a co-op for San Jose farmers during the Great Depression, the flagship location soon branched out throughout California. Today, with dozens of stores in California and two in Oregon, the company is looking to meet the needs of the modern homeowner. The store, at 415 S. La Brea, will be the company’s 71st California location and will include a 3,800-square-foot outdoor nursery. Store hours will be Monday through Saturday from 7 a.m. to 9 p.m. and Sunday from 8 a.m. to 8 p.m.